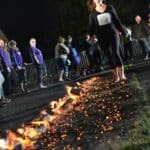 Whether you might need to motivate, team build, focus or reward your staff, Dare To Firewalk is a flexible activity designed to challenge your team. 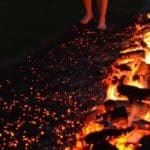 Firewalking is one of our most memorable activities yet. 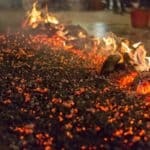 Guests have the opportunity to face their fears and walk across a bed of wood burning at 500 degrees Celsius. We use this transformative experience to help people break down fears and enable them to reach their full potential. 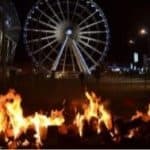 All equipment is carefully selected with a comprehensive risk assessment to ensure the running of a safe and exciting event for you and your colleagues. 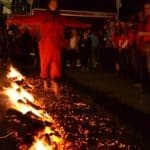 A fire walk is one of the most inspirational journeys you will ever undertake. 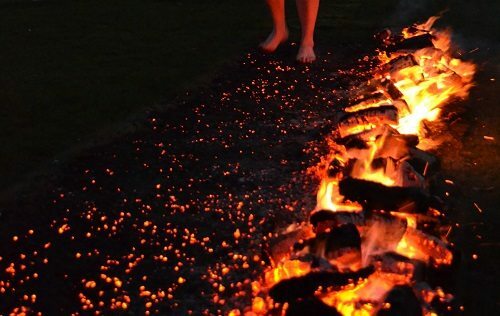 It is as the name suggests: a bare foot walk over red-hot wood embers measuring around 800 degrees Fahrenheit. 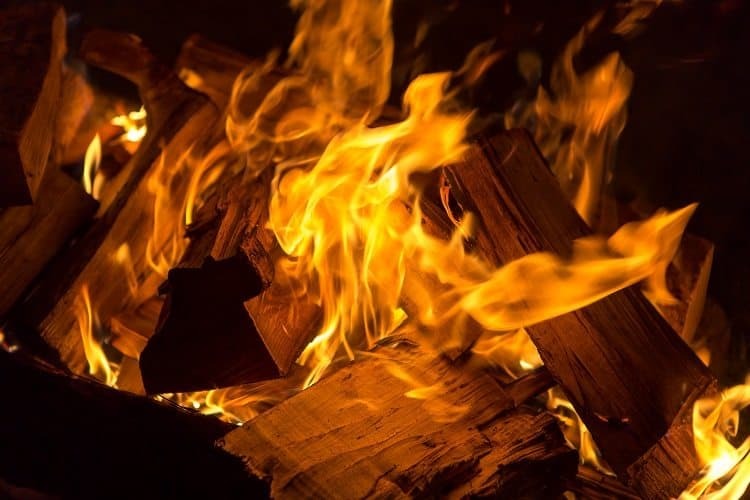 No special effects are used so it is as natural as possible, just you and the fire! 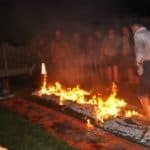 Fear is at the centre of the experience, the fear you feel on the brink of a fire walk is incredible – all of your survival instincts are telling you to stay put. and don’t take the risk. This is your turn to face your fears and achieve something unimaginable. 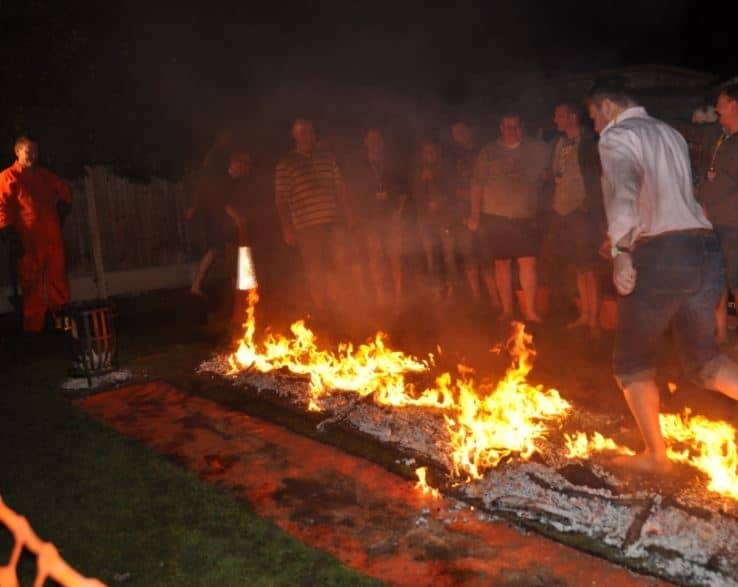 Fire walking is an activity carried out across the globe and although the thought of the event is risky, your guests are in safe hands! 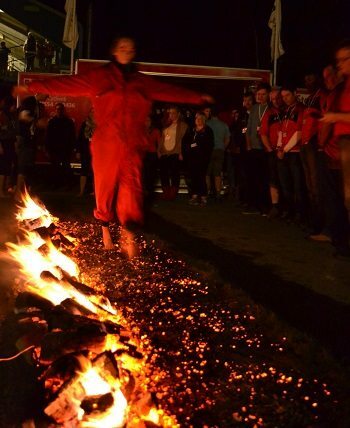 It is important that participants pay attention to all the training and heed the advice and instruction of the trainer, fire watchers and spotters. 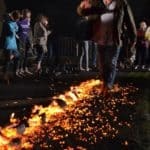 The sensation is described by some as walking on eggshells, others as walking on hot sand. Each walker has his or her own experience. 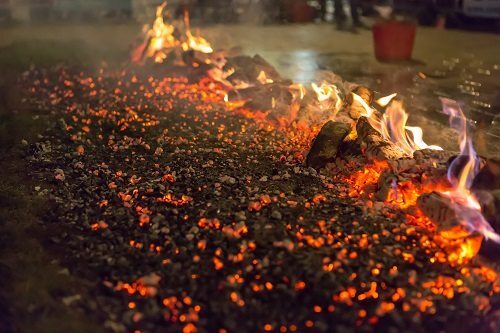 We have not known walkers to experience pain, indeed when the opportunity arises many choose to walk across the coals more than once! 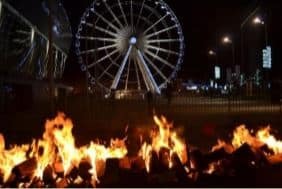 I honestly was worried about this event but it is set out in such a safe environment and the team are amazingly helpful. 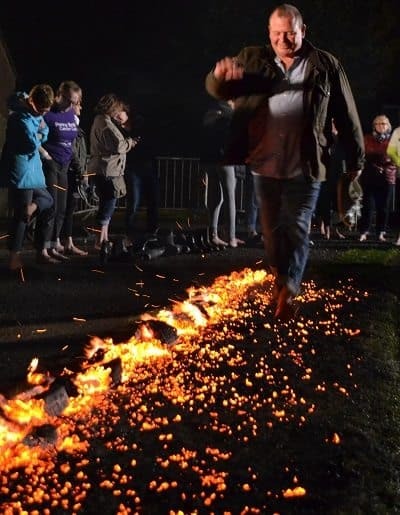 Many of us walked across the fire more than once!!! Would definitely do it again. This activity really takes you on a journey with not only within but also as a team as you build bonds and overcome all obstacles as one unified group. Exciting, thrilling and adrenaline pumping. Really brings your team together. Crazy how much the mind controls you. 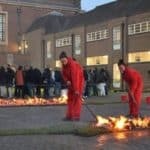 This is such an amazing event, I am now looking to do this across a variety of departments. This has been one of the toughest yet most rewarding things I have done. I battled everything inside that was telling me there would be pain and its a terrible idea but due to the team and how professional they were they helped me overcome this. I honestly do not think I would ever have been able to over come this.